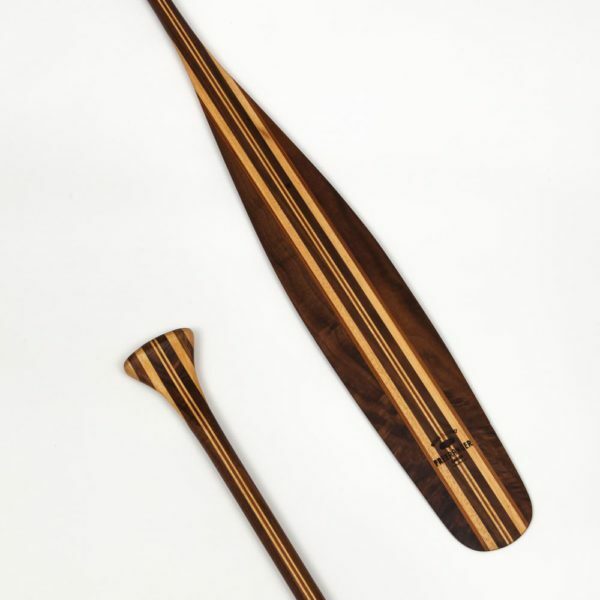 The voyageur trekking paddle is based on the paddles developed by the Canadian fur traders depicted in the paintings by Frances Anne Hopkins. 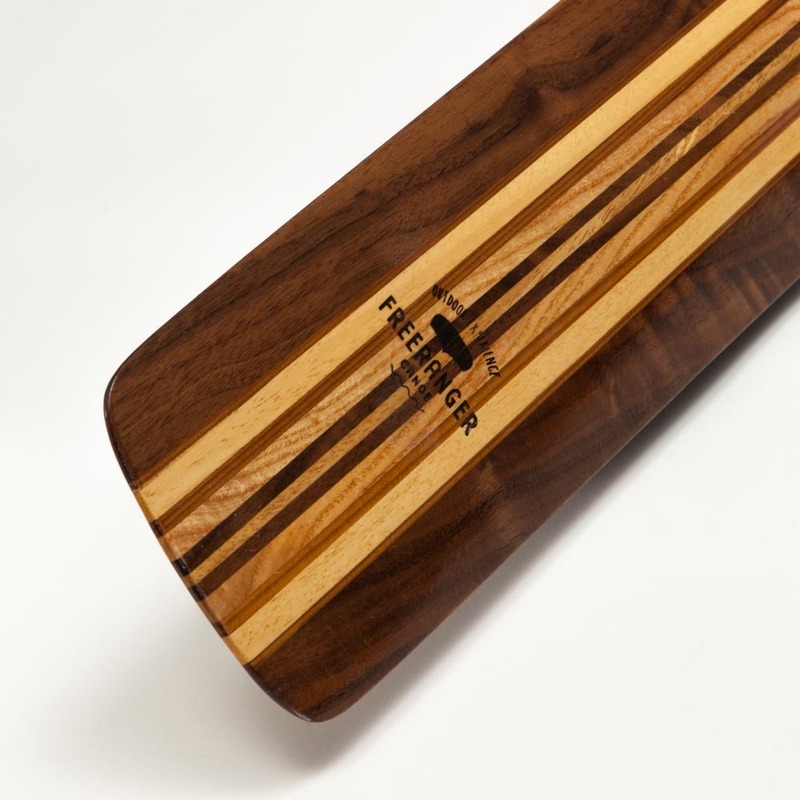 The voyageur trekking paddle is an all rounder with a powerful robust blade and good catch. The paddle gives you good yet subtle control and will power you through the water. 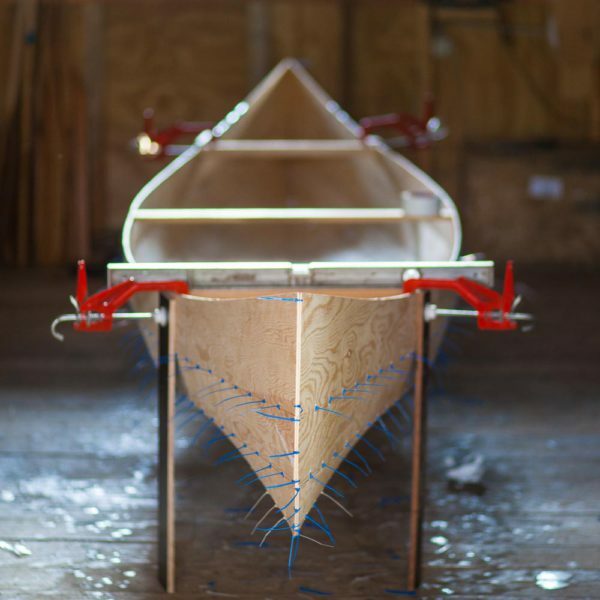 The angular line of the shoulder ensures that water does not flow back into the boat during recovery. 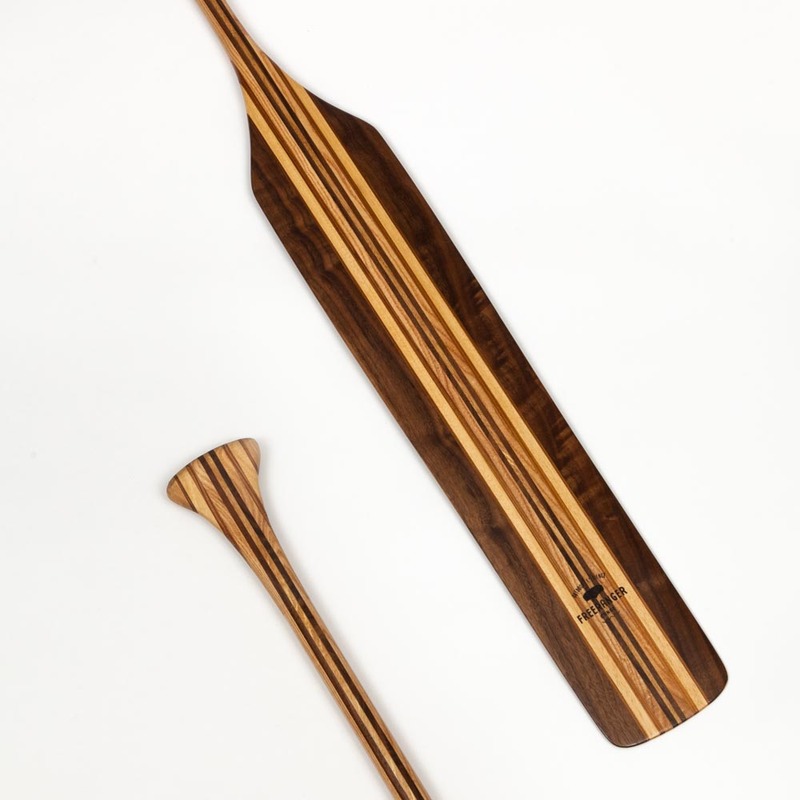 The voyageur trekking paddle is made up of a cherry, walnut and ayous laminate. That guarantees a solid and relatively light combination. 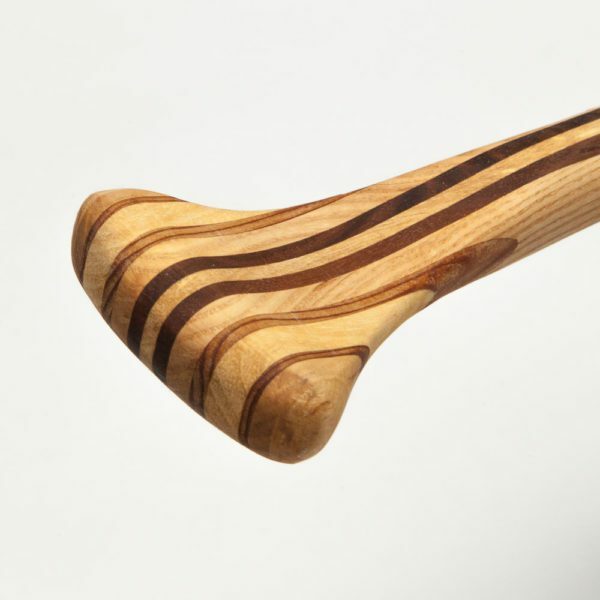 The pear-shaped oiled grip gives the voyageur a pleasant and smooth feel. 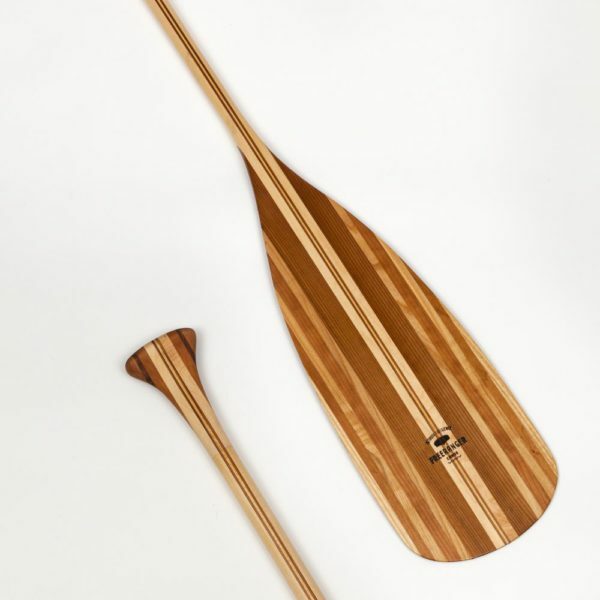 The voyageur trekking paddle is available with a semi-gloss varnished or an oiled finish.